I first came across NLP in the 1990s and was immediately struck by how useful the core skills were in developing and refining communication skills. I was especially interested in the use of language in changing states and beliefs. In 2013 Richard Bandler highlighted Frank Farrelly as a big influence on the creation of NLP during one of his London NLP training and I am forever grateful for the heads up. By 2004 I was studying with Frank and within a few years we had become firm friends and when he passed I inherited his archive of material dating back to 1960s. These days I teach PCW which was inspired by Frank’s work all around the world, to 13 different countries with more new countries coming online in 2019. 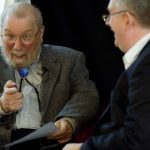 Many NLP practitioners and trainers appreciate that PCW is in many ways a supercharged evolution of what many strive for in NLP and here’s what some key NLP players say about PCW, having attended some of my training. 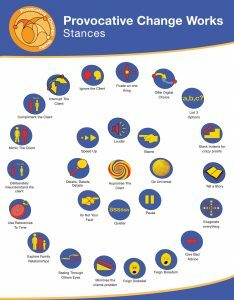 The key tools in NLP allowed me to decode Frank Farrelly’s work and to create the 27 PCW stances that are used in using this approach. NLP also gave me an insight into how to elicit a client’s strategy in creating and maintaining problem states. PCW is in my view a lot more focused than a lot of what I find in NLP and crucially its jargon-free and is totally conversational. This means the practitioner doesn’t need “to build rapport” as they are simply talking in the client’s language free from obvious techniques that often appear in NLP interactions. Many NLPers will recognize some of the PCW stances and how they can be used to terrific effect in client sessions. The key difference in PCW is that the practitioner works in an aikido manner to change the problem behaviour, which is very different to straight ahead NLP. The smart NLP folks tend to love the flexibility of PCW and I am grateful to have terrific support from such folks. Next year I will be in Japan for the 18th time, to present at a major medical conference. I have been accused of “bashing NLP” and I always point out that “NLP is not an object” so you can’t “bash it” My criticism is often about how in some circles NLP has been reduced t a cut and paste series of techniques and is presented in a manner that is little more than status seeking.. I have always promoted the core NLP skills as being extremely useful an, of course, contributed to the “Innovations in NLP” book. recipes that don’t require exquisite hypnotic or verbal skills. the client is still free of her ‘life-long anxiety’. I can’t think of a greater endorsement and I teach these techniques in all my PCW training.